Discussion in 'Off-Topic Discussion' started by sparkyscott21, Jun 13, 2014. 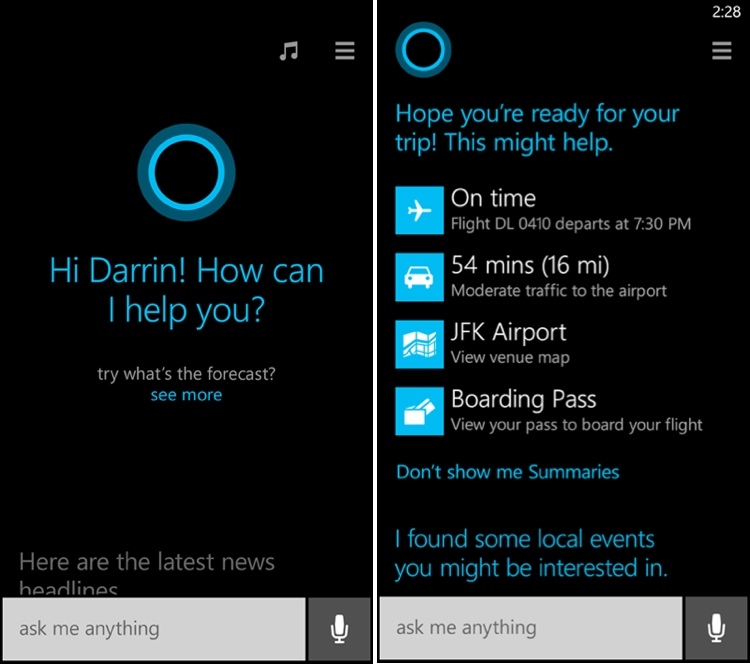 Microsoft earlier this year introduced Cortana, an intelligent virtual assistant to compete with iOS' Siri and Android's Google Now. Cortana was launched as a Windows Phone 8.1 feature, but a new report from Search Engine Land suggests Microsoft may expand the service to iOS and Android. Speaking at the SMX Advanced conference in Seattle yesterday, Windows Phone Group Program Manager Marcus Ash said the company wants Cortana to be "pervasive" both geographically and among mobile platforms. We want to scale Cortana internationally and across devices. The Android/iOS question is interesting. Were asking, would Cortana be as effective if she didnt have access to the details on your phone? Were still trying to get Cortana adopted on Windows Phone and figure out what it wants to become there. But were actively talking about this. the idea that she will be very pervasive is important to us. Cortana is powered by Microsoft's Bing search engine and Tellme's natural language processing and speech-recognition technology Microsoft acquired in 2009. The assistant is launching first on Windows Phone 8.1 and the Xbox One game console. It is named after the artificial intelligence in Microsoft's popular Halo game series and has a female voice powered by actress Jen Taylor, who also provides the voiceovers for the video game. This would be a smart move. There's still a lot of ways an assistant App can differentiate itself and how one can prove to be more valuable than one of the others. Would Apple allow another assistant on IOS, though?